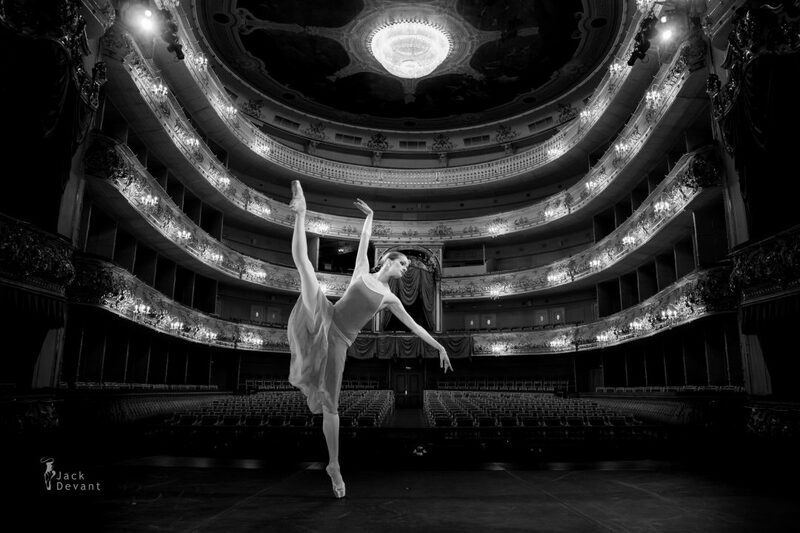 Ekaterina Borchenko on the historical stage of the Mikhailovsky Theatre, warming up before La Bayadere, St Petersburg, Russia. Shot in May 2015. 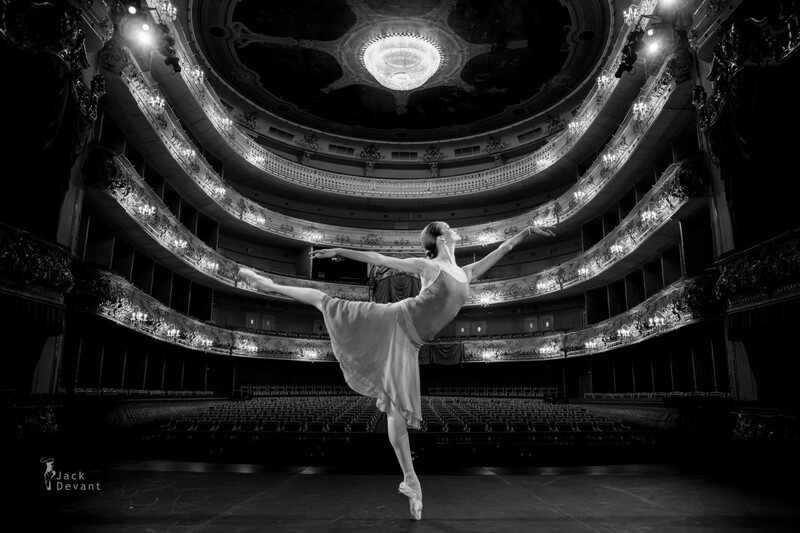 Ekaterina Borchenko is prima ballerina with Mikhailovsky Ballet. She was born in Leningrad in 1982. Graduated from the Vaganova Academy of Russian Ballet. In 2000-2003, was principal dancer of the Moscow Stanislavsky and Nemirovich-Danchenko Musical Theatre. In 2003-2007, was principal dancer of the Bolshoi Theatre of Belorussia, Minsk. Borchenko is also honored Artist of Russia. 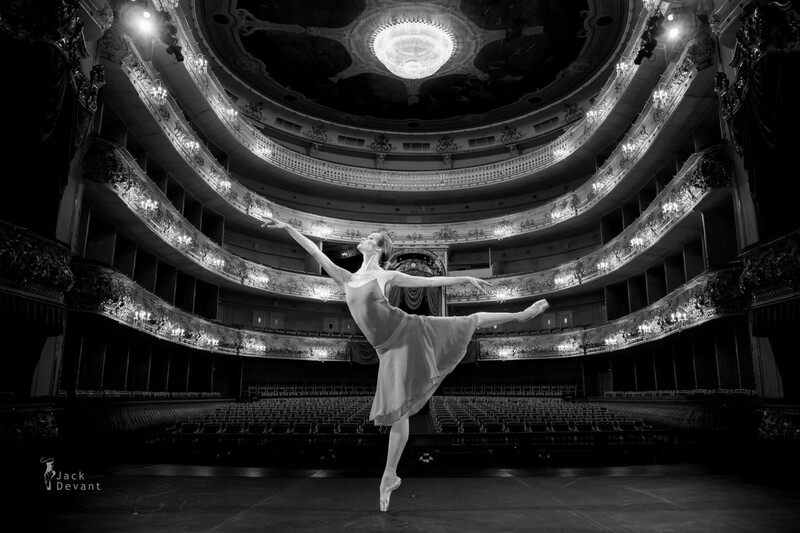 She joined the Mikhailovsky Ballet in 2008. Photo by Jack Devant ballet photography © with kind permission of the Mikhailovsky Theatre, special thanks to Darina Timofeeva.